Would you make a good financial manager? Take our career test to find out how you match with this and over 800 other careers. What is the workplace of a Financial Manager like? Financial managers are responsible for the financial health of an organization. They produce financial reports, direct investment activities, and develop strategies and plans for the long-term financial goals of their organization. Financial managers work in many places, including banks and insurance companies. Financial managers increasingly assist executives in making decisions that affect the organization, a task for which they need analytical ability and excellent communication skills. 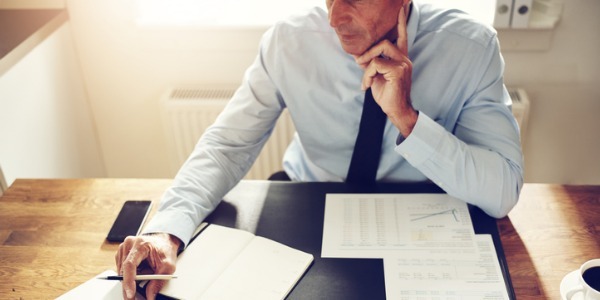 The role of the financial manager, particularly in business, is changing in response to technological advances that have significantly reduced the amount of time it takes to produce financial reports. 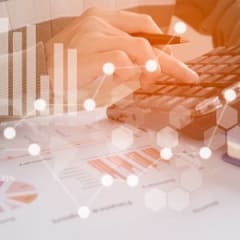 Financial managers’ main responsibility used to be monitoring a company’s finances, but they now do more data analysis and advise senior managers on ideas to maximize profits. They often work on teams, acting as business advisors to top executives. Financial managers also do tasks that are specific to their organization or industry. For example, government financial managers must be experts on government appropriations and budgeting processes, and healthcare financial managers must know about issues in healthcare finance. Moreover, financial managers must be aware of special tax laws and regulations that affect their industry. Controllers direct the preparation of financial reports that summarize and forecast the organization's financial position, such as income statements, balance sheets, and analyses of future earnings or expenses. Controllers also are in charge of preparing special reports required by governmental agencies that regulate businesses. Often, controllers oversee the accounting, audit, and budget departments. Treasurers and finance officers direct their organization's budgets to meet its financial goals. They oversee the investment of funds. They carry out strategies to raise capital (such as issuing stocks or bonds) to support the firm's expansion. They also develop financial plans for mergers (two companies joining together) and acquisitions (one company buying another). Credit managers oversee the firm's credit business. They set credit-rating criteria, determine credit ceilings, and monitor the collections of past-due accounts. Cash managers monitor and control the flow of cash that comes in and goes out of the company to meet the company's business and investment needs. For example, they must project cash flow (amounts coming in and going out) to determine whether the company will not have enough cash (and will need a loan), or will have more cash than needed (and can invest some of its money). Insurance managers decide how best to limit a company’s losses by obtaining insurance against risks such as the need to make disability payments for an employee who gets hurt on the job, and any costs imposed by a lawsuit against the company. Are you suited to be a financial manager? Financial managers have distinct personalities. They tend to be enterprising individuals, which means they’re adventurous, ambitious, assertive, extroverted, energetic, enthusiastic, confident, and optimistic. They are dominant, persuasive, and motivational. Some of them are also investigative, meaning they’re intellectual, introspective, and inquisitive. Does this sound like you? Take our free career test to find out if becoming a financial manager is right for you. Financial managers work closely with top executives and with departments that develop the data that financial managers need. They can be employed in many different environments including both public and private sectors, such as multinational corporations, retailers, financial institutions, NHS trusts, charities, manufacturing companies, universities, and general businesses.